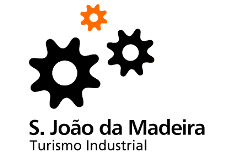 Portugal Shoe Technologic Center - is a nonprofit organization founded in 1986 by the Industrial Footwear Association (APICCAPS) and two institutes of the Ministry of Economy dedicated to the innovation - IAPMEI and INETI. This center supports Footwear related companies in different fields like technical training, product development and material and equipment investigation. One of the main goals of this structure is to disclose technical information to the industrial companies/institutions. The Footwear Technological Center of Portugal provides services in the industrial organization which include quality control, company certification, environmental advise, physical and chemical tests, technological surveillance, hygiene and safety at work, design and multimedia, and others. Siga o CTCP no Facebook.